The infamous Shurnukh case took a new turn. 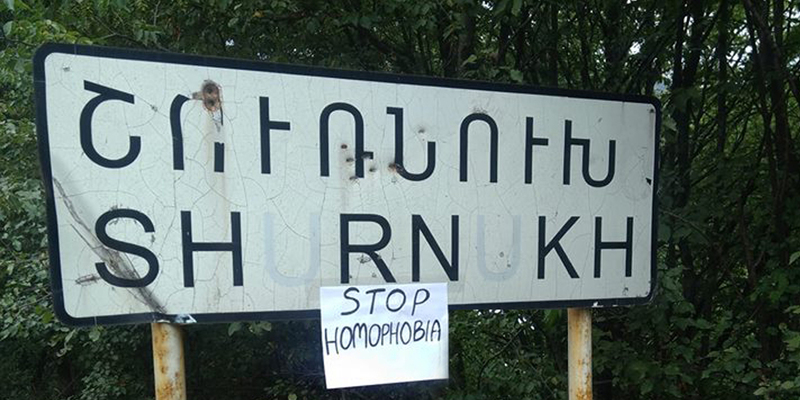 As we informed earlier, a group of young people, including LGBT activists were on a holiday trip in Shurnukh village, were subjected to a violent attack motivated by intolerance. A criminal case was opened, but subsequently charges were dropped under suspicious circumstances. When examining such cases the investigation department should show the utmost sensitivity and diligence, given the highly negative public attitudes towards LGBT individuals and the status of vulnerability of LGBT people. Whereas the indifference and the guidance by social prejudices by the investigation department and its officers, led to an inadequate investigation of the case and the violation of the victims’ rights. The decision to dismiss the criminal case was appealed with arguments that the investigation didn’t take into account important factors such as the motive of the crime and the psychological distress caused to the victims. The first instance court of Syunik region examined the complaint of the persecuted party and clearly made an unprecedented decision. The court has found that the investigation didn’t take any measures to determine whether the victims suffered any other damage other than physical damage. In other words, the court has stated that LGBT individuals can suffer psychological damage when being subjected to violence on the basis of sexual orientation and gender identity (SOGI). The court also noted that the investigation didn’t stress that the violence was motivated by the hatred of the perpetrators on the basis of [real or perceived] SOGI of the victims. For the first time in frames of Shurnukh case, the court mentionned discrimination and how it motivated a crime. The court, having recorded the violation of the rights of the victims, obliged the body conducting the investigation to eliminate those violations. In this case, the investigation of the case is restarted, so the persecuted party will have the opportunity to draw the attention of the investigation to the circumstances they neglected previously and to fill out the gaps and inconsistencies made during the investigation.